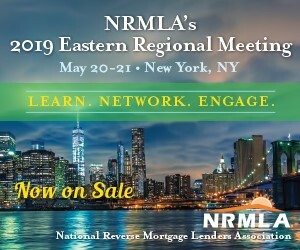 We sat down with two of our industry’s best-known appraisal experts Erik Richard & John Dingeman of Class Valuation (formerly associated with LandMark Network) exploring the role of an AMC, how the Collateral Risk Assessment is impacting HECMs, and insight into the appraisal process and mindset. Chris Bruser is one of the nation’s top-producing HECM originators and exemplifies the qualities of passion, optimism, and resilience. We sat down with him to learn how he persists and succeeds in the midst of a challenging marketplace. Meet the woman behind The Reverse Review – a well known news source in our industry. We had a chance to sit down with the publication’s Editor in Chief Jessica Guerin discussing their move to Housing Wire, the process of writing a column, and the importance of digital publishing. In part one of our interview The Mortgage Professor discusses the possibility of double-digit mortgage interest rates which have not been seen since the HECM program’s inception. We explore the industry impact, consumer awareness, disclosures and more. Rob Awalt of Premier Reverse Closings (PRC) speaks to adapting to a changing market, the skills required to thrive in more in our exclusive interview recorded at the NRMLA Western Regional Meeting in Irvine California.